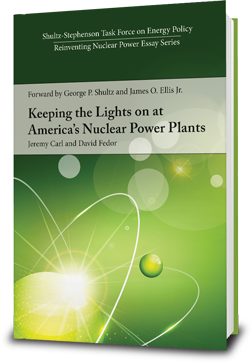 In Keeping the Lights on at America’s Nuclear Power Plants, Jeremy Carl and David Fedor discuss American nuclear power plant closures in light of major economic and policy challenges. They show how cheap natural gas, electricity market flaws, and a failure to capture the public imagination threaten America’s near- and long-term nuclear viability. American nuclear power plants are closing at a historically unprecedented pace, offering just a short window for the development of public or political will to stop the bleeding. Recognizing the nuclear industry’s dilemmas, the authors argue that nuclear energy is widely misunderstood. They discuss how many of the nuclear industry's benefits are not well captured by today's deregulated electricity markets or local ratepayers and survey how to keep nuclear a part of the new national conversation about America’s energy future—a conversation that does not always include nuclear. For all these challenges, the authors argue that permanently opting out of the nuclear enterprise would be a mistake. Making the case for continued nuclear investment, they show how keeping the lights on at America’s nuclear plants can bolster American technology leadership, security, and commitment to curbing pollution and carbon emissions. 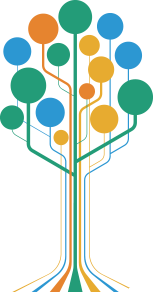 They offer a menu of policy options designed to spur meaningful action at state and federal levels, change the industry’s status quo, and reintroduce nuclear to America’s energy conversation. Admiral James O. Ellis Jr., USN (ret.) and George P. Shultz offer a foreword to the book that discusses nuclear power's special role in American­­—and global—energy security.